Caution, this tank is not for the adventure adverse. Made for the sun-seeker, the girls graphic tank top features a “Chasing Rainbows” screen print at the center front of a Hi Lo silhouette. 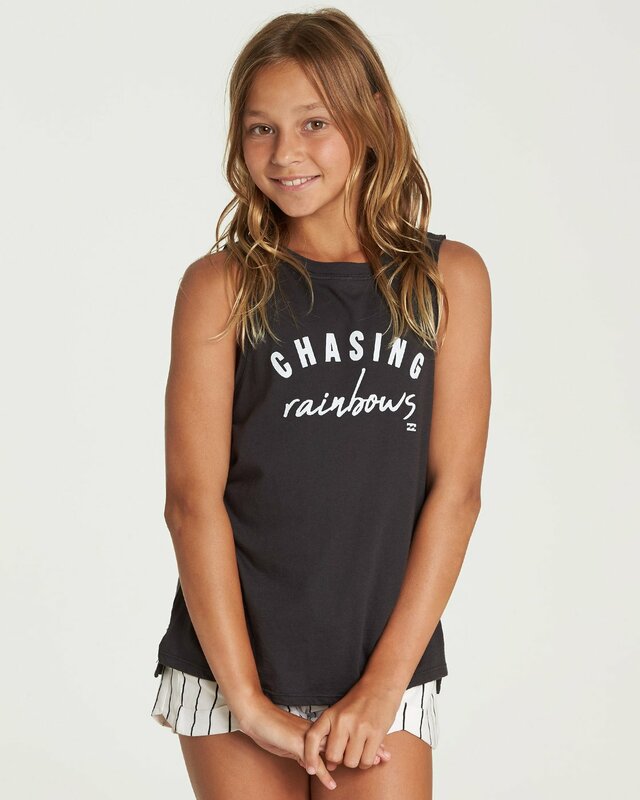 Made from a super soft modal jersey blend for an easy drape, the girls tank is cut with muscle tee-style raw edges at the arm holes and a hi-lo hemline. “Chasing Rainbows” print at front.